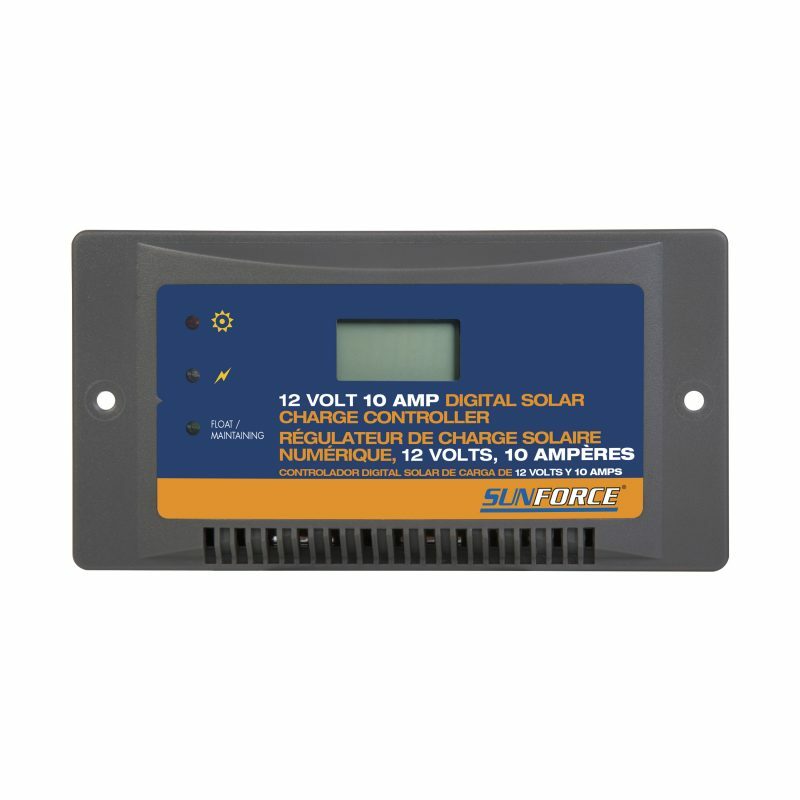 10 Amp, 12- Volt Digital Solar Charge Controller - SunForce Products Inc. The Sunforce 10-Amp Digital Solar Charge Controller handles up to 150 Watts of power from a 12-volt solar panel. This controller prevents any overcharge of a 12-volt battery. LCD display shows the battery voltage. LEDs indicate charge status. Can I use my battery when the 10-amp digital charge controller is connected? How many solar panels can I connect to my 10-amp digital charge controller? 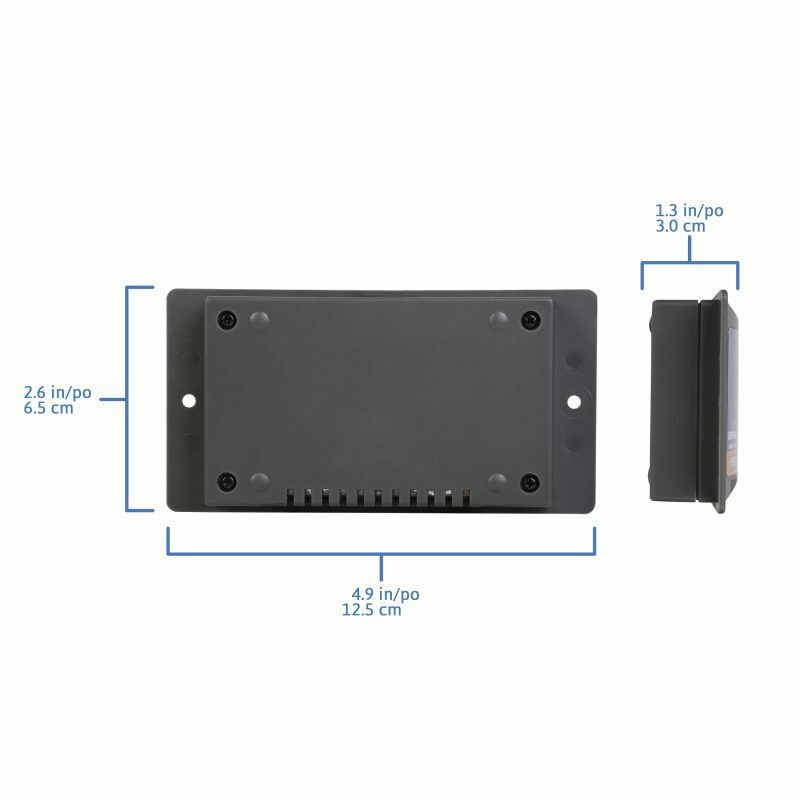 The 10-amp digital solar charge controller has a maximum input of 150 Watts from a solar array. 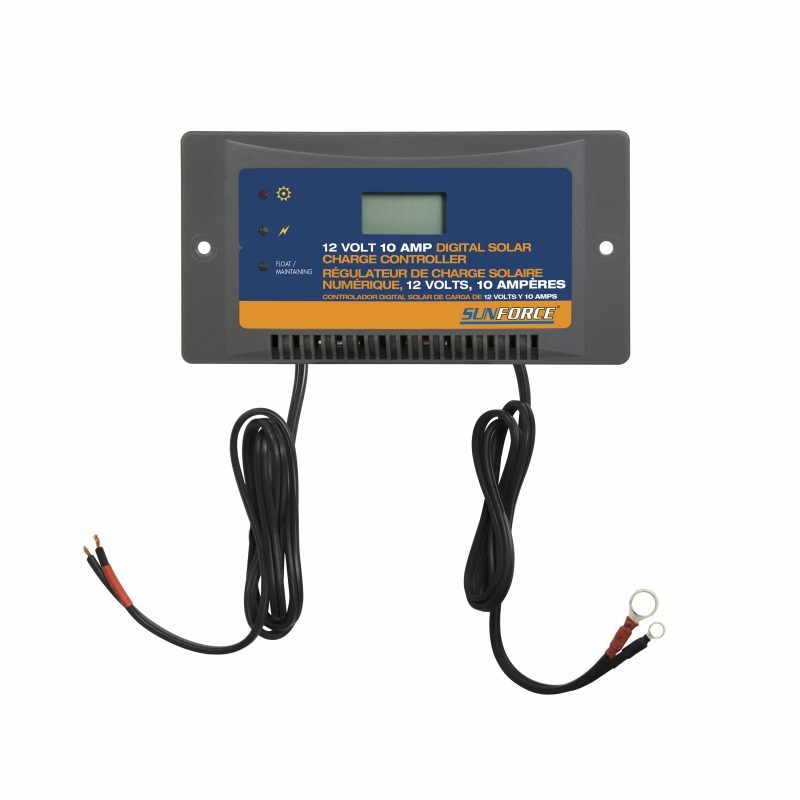 The 10-amp digital solar charge controller is designed for a 12-volt system only. 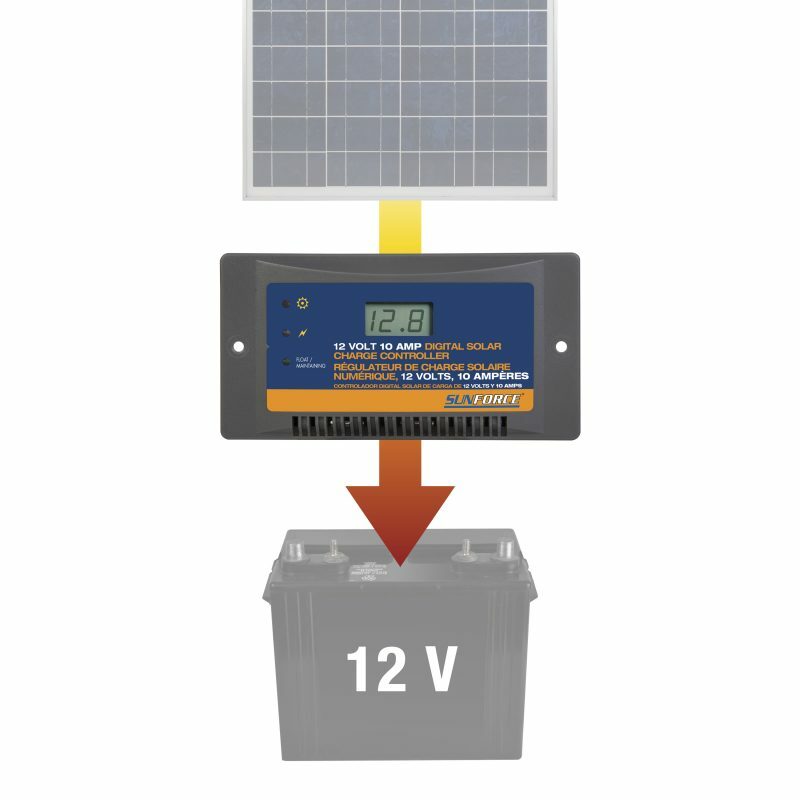 12-volt nominal output solar panels should be connected in parallel to keep the voltage at 12 volts. What are the LED indicator lights for? The Red LED light next to the solar symbol is the solar power indication light. If the Red LED is ON this indicates the solar panel is properly connected and the solar power is working. If the Red LED is OFF this indicates that no power is available and there is insufficient voltage to the charge controller, which may be that you don’t have enough sunlight. Refer to the manual for troubleshooting. When the Charging status LED is Blue beside the symbol of the lightning bolt, this indicates the battery is charging. When the Float/ Maintaining LED is Green this indicates the charge is complete. Refer to the manual for troubleshooting. What is displayed on the digital screen of the 10-amp digital charge controller? The battery voltage is displayed on the LCD screen.